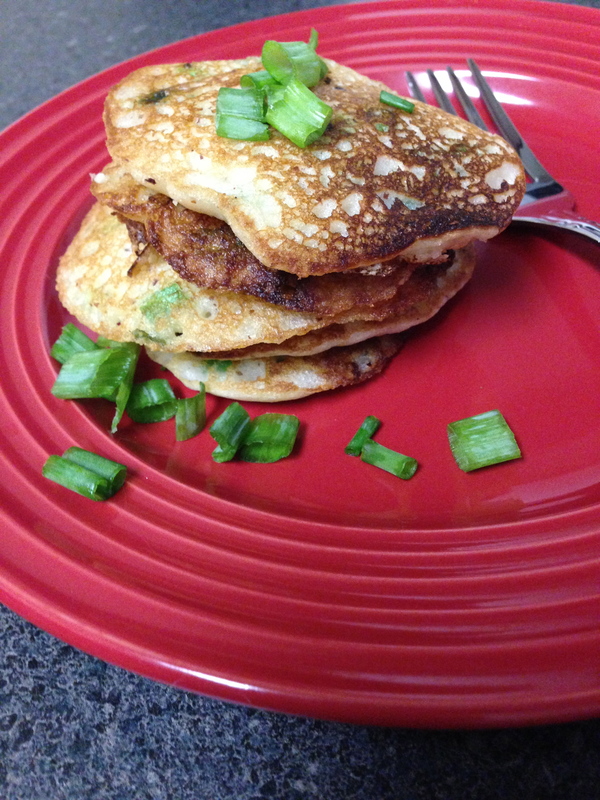 The other night I was making a soup and thinking, “Hmmm, what could I make to go with this beside just my normal salad, potatoes, or roasted veggies?” I came across this recipe for these miniature, crispy scallion pancakes in my It’s All Good cookbook and immediately knew I had to try them. Plus, the shock value of announcing that we were having pancakes for dinner was well worth it. Once made, it was hard to keep my fingers off these bite size, savory treats and they paired perfectly with the soup I had made. I will make them again in the future as they are so versatile and a unique pairing to any meal. Warning before you get to cooking: these babies are addictive and finger-lickin good! These little gems are so simple to make. 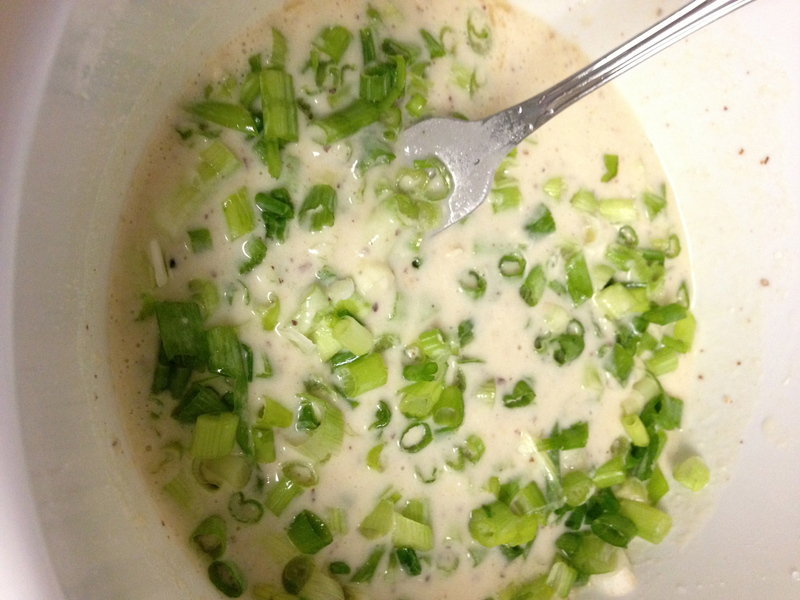 You simply mix the batter and then slice the scallions thinly to add to the batter. Once the batter has been mixed, oil your pan with a neutral oil (like canola oil, grapeseed, or safflower oil), and allow to heat. Use a tablespoon measure to spoon the batter into the hot oil. When you see the edges begin to bubble and brown, flip the pancake to brown the other side. These miniature delights should be crispy on the edges and softer toward the middle. So delicious! Whisk the flours together with the water and sesame oil. 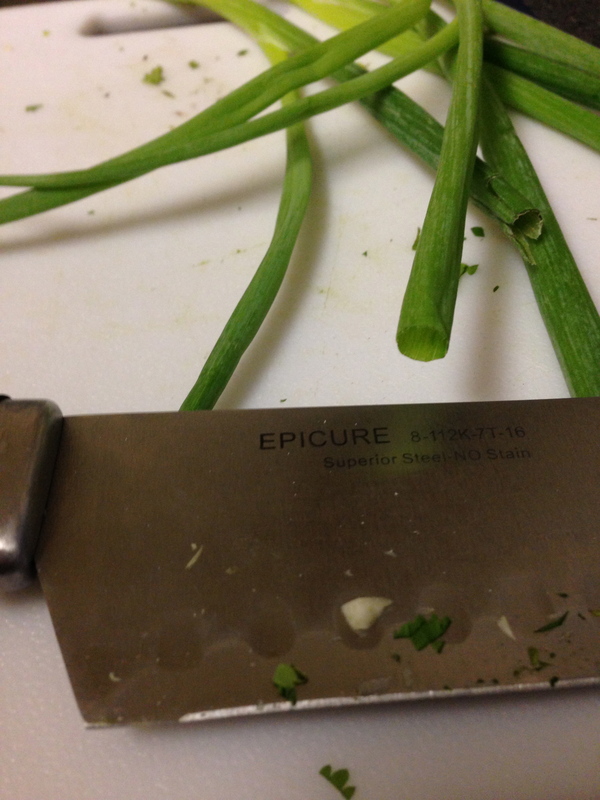 Fold in the scallions and a large pinch of salt. Heat a shallow layer (about 1/4-inch) of oil in a large nonstick pan over high heat and add as many tablespoonfuls of batter as will fit without crowding. Cook each pancake until it’s nicely browned, about 2 minutes on a side. Drain the pancakes on a plate lined with a paper towel and sprinkle each with a tiny pinch of salt. Repeat the process with the remaining batter, adding more oil to the pan as needed. Serve these immediately!